Upright geraniums look best in groups, or as the central focal point in mixed containers. Only a few geranium varieties are available as seed. 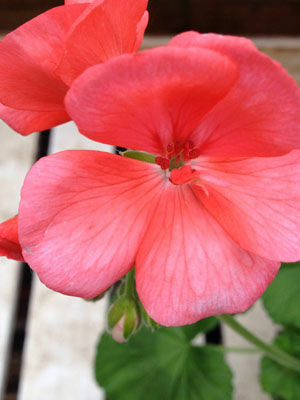 Most gardeners buy geraniums as inexpensive bedding plants, set out in spring as soon as danger of frost has passed. Many of the showiest varieties are propagated from rooted stem cuttings rather than seeds. Large varieties may need wider spacing, or you can grow them in 35cm (14-inch) diameter containers.